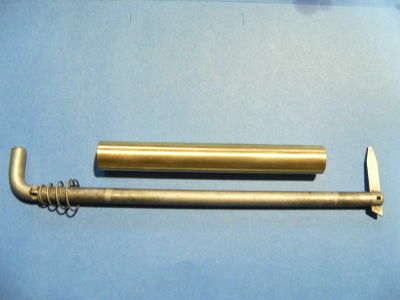 The MCM motor tilt pin sleeve was designed by Midcoast Marine. The MCM tilt pin sleeve is made from brass. 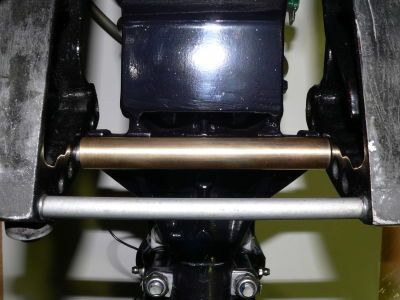 It simply adjusts the trim angle of the motor to an “in between” setting (1/2 setting) from the factory tilt pin setting, for example, if your motor is set on pin setting 3 (3rd hole from transom) and your boat is still slightly “nose down” in the water when planing and you have tried pin 4 and the boat seems too “nose up” then by leaving the pin at trim setting 3 and then fitting the tilt pin sleeve you will effectively now be positioned at trim setting 3 ½. The tilt pin sleeve is very useful for fine tuning the planing attitude or “ angle of attack” of your IRB. Propeller and guards all effect the way your boat behaves when planing, the MCM tilt pin sleeve may prove a very inexpensive part to trim your IRB perfectly.